2015 was a wild ride for payments. From federal regulations and cybersecurity, to mobile innovations and contactless payments, there has been a steady flow of change this year. As December winds down and the world slows its pace to enjoy some moments of peace, we reflect on the most mentionable advances in the payments industry, and what’s in store for 2016 in our 3-part series. And to kick it off, everyone’s favorite payment topic of 2015 – EMV. EMV came to its full fruition on October 1st, when the deadline for adoption hit and the liability for fraudulent card use at the point of sale shifted from banks to merchants. The deadline has passed and the response from merchants has been lackluster. On December 18th, PYMNTS.com published thoughts on the 60 day evaluation of EMV from industry experts including Lori Breitzke, Marketing at Verifone, Shan Ethridge, Vice President and General Manager of North America Financial Services Group at Verifone and Brian Hamilton, Senior Director of Risk Products and Business Intelligence at Visa. Why has EMV implementation been so slow? Retailers have their reasons, and their bottom line, for one, is key. Committing to expensive, EMV chip-enabled payment terminals is a hard pill to swallow. Even if a merchant did commit, there was justified concern over increased wait times at check out as consumers go through the learning curve of getting used to using their chip cards. In fact, many merchants purposely did not “turn on” EMV by October simply because they did not want the new technology to interfere with their holiday season. Consumer World’s recent survey revealed that less than 46% of major retailers are actually utilizing their EMV-enabled terminals. “NBC News followed up with some of the big name retailers who have not yet enabled their EMV terminals, including Bed Bath & Beyond, CVS, Costco, Foot Locker, Kmart, Kohl’s, PetSmart, T.J.Maxx, Toys”R”Us and Whole Foods. Many have plans to roll out the changes gradually throughout 2016. Adding to the confusion around EMV on the retailer and even consumer side is the implementation of EMV as Chip and Signature in the U.S. rather than Chip and PIN in the rest of the world. 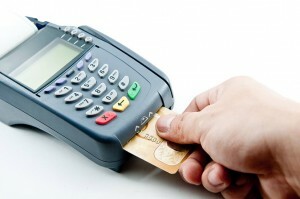 Ideally, EMV is a strong two-part authentication process which consists of the chip itself and then a unique PIN, or personal identification number, that cardholders must enter with the chip card, even for credit cards. Stolen chip cards with PINs are useless to criminals since they shouldn’t know your PIN, whereas chip cards with signatures will be simple to use. So if the card is stolen out of your wallet, home or anywhere else, it can be used at a retailer – unless the retailer asks for identification to check your signature and name. Retailers are disappointed with the Chip and Signature decision. Ruston Miles, Bluefin’s Chief Innovation Officer, does see EMV bringing a decrease in counterfeit fraud in 2016 but that decrease will be tempered by the lack of a PIN on cards. Forrester has predicted that EMV cards won’t achieve broad adoption in the U.S. until 2020 while the Payments Security Task Force has said the transition to EMV chip cards will be nearly complete – 98% of total credit and debit cards – by 2017, based on issuer’s estimates. On the flip side, GrowthPraxis has estimated that two out of three payment terminals in the U.S. will be EMV compatibly by 2020 – which is just 65%. As we all know, EMV takes two to tango – and without a compatible card and a compatible terminal, there is no dance. We’ve heard a lot about how card not present (CNP) fraud will rise because it’s harder to use counterfeit cards at the POS. However, we don’t have any hard statistics pointing to this trend yet – likely because such a small fraction of retailers and cards are EMV enabled and in use. We should get a better idea in 2016 of the fraud patterns that come about due to EMV. Stay tuned for next week’s part 2 of Bluefin’s 2015 Payments Wrapup where we overview the biggest fraud threat retailers and organizations will continue to face: malware.